The first reading of a public bill is a formality. Once formally presented, a bill is printed and proceeds to a second reading. Amendments can be made at the committee and subsequent stages. Usually, public bills which have not been passed by the end of a parliamentary session are lost. 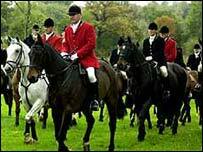 The controversial Wild Mammals (Hunting with Dogs) Bill passed its First Reading at the end of November 1997 but ran out of time before getting any further through the leglislative process. Following a recommendation of the House Modernisation Committee it was agreed that, in certain circumstances, public bills may be carried over from one session to the next, in the same way that private and hybrid bills may be. The first public bill to be treated in this way was the Financial Services and Markets Bill 1998/99.